This project involved the upgrade of North East Freight Roads in Tasmania to cater for higher mass limit vehicles, including replacement of the Tebrakunna Bridge. This new bridge over the Ringarooma River is a single lane concrete structure. The second package of works involved the replacement of seven bridges in the Mathinna/Evercreech area. 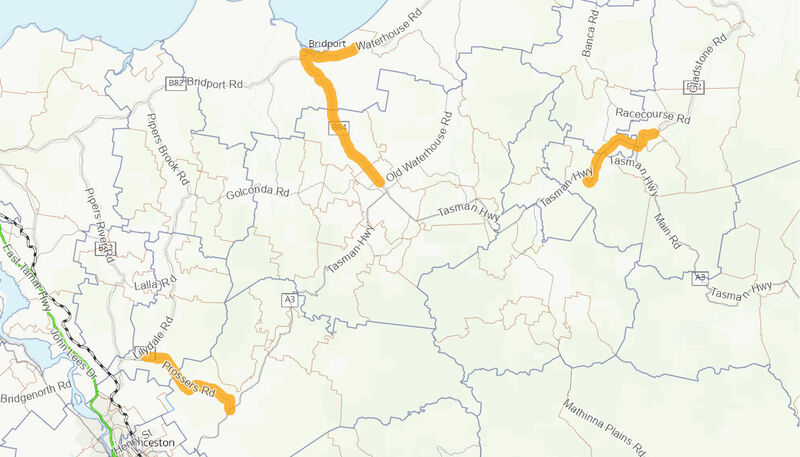 The roads package of works included the Tasman Highway and Gladstone Main Road upgrades between Derby and Herrick; the Bridport Main Road upgrade; and the Prossers Road intersection upgrades. Two further road upgrades were completed including the upgrade of Waterhouse Road, Edward Street and Emily Street to HPV standard; and Waterhouse Road - Emily Street to Brid River Bridge - Road Upgrade. The project provides safer and more efficient freight links for higher mass limit vehicles from the forests and regional centres in north east Tasmania through to Bell Bay. Completion of the Tebrakunna Bridge has reduced the need for log trucks to use the Tasman Highway through the Weldborough Pass. It has therefore improved efficiency and reduced conflict with other traffic on this Highway. The replacement of the seven bridges in the Break O'day Council area has allowed logging traffic to take a more direct and safer route to the northern ports. The road upgrades promote safer movement of heavy vehicles and better interaction with non freight traffic around the north east as well as allowing for a heavy vehicle curfew on Bridport Main Road to be removed. The project was jointly funded with the Australian Government contributing $34 million and the Tasmanian Government contributing the balance. Construction of the Tebrakunna Bridge was completed in March 2010. Construction of the seven bridge replacement projects commenced in late 2013 and was completed in June 2014. The Prossers Road intersection upgrades were completed in February 2014. The Tasman Highway/Gladstone Main Road projects were completed in May 2014. The Bridport Main Road upgrade project between Scottsdale and Bridport was completed in December 2015. The Waterhouse Road, Edward Street and Emily Street upgrade commenced in December 2014 and was completed in April 2015. The Waterhouse Road - Emily Street to Brid River Bridge - Road Upgrade commenced in October 2016 and was completed in April 2017.